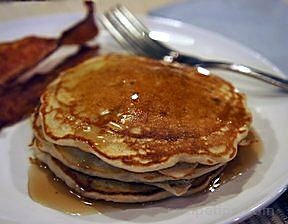 Start off Fat Tuesday with a hearty stack of pancakes. The perfect beginning to a day of celebration. The bananas in this recipe will give your Fat Tuesday breakfast pancakes a kick of flavor. Delicious and nutritious, your family will enjoy these with or without maple syrup. A delicious hearty casserole of black-eyed peas and rice made in a traditional southern style.